The Camelastic range incorporates elastomeric coatings that are applied at medium and high builds, on a variety of substrates and are characterised by their excellent elongation and sealing properties. Elastomeric coatings have more of a formulating emphasis on flexibility and elongation, moisture resistance, UV resistance, film strength, protection from airborne pollutants and produce gas-tight, seamless membranes. These coatings are used in specialty application areas, such as waterproofing membranes, and sealing coatings. The range can be applied directly on Galvanised Iron, Aluminium, Concrete, Cement Render, Colourbond, Roof Sheeting and Structure on the Internal, Underside of Structures, Grain Storages and Glass House Structures, and designed for wet on wet application to WFT, about 8000 microns with excellent hold-up. 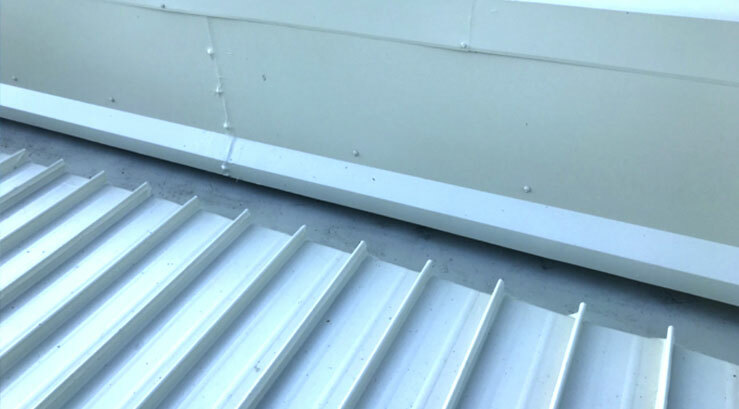 Camelastic can also be applied as a waterproofing elastomeric ‘bandage’ on metal roof sheeting. In particular where movement causes metal roof sheets to separate and leak; it can be applied with Polyester fabric reinforcing between coats to build a dry film thickness of up to 5mm, bonding the roofing sheets and forming a waterproof seal. Camelastic CSE 729 is a premium quality coating designed for direct substrate application to a variety of materials. It contains an extender system in combination with an extremely durable elastomeric polymer system, which exhibits excellent elongation properties. This product provides excellent strength, durability, and flexibility because of the outstanding adhesion and contains film biocides to eliminate fungal and algal growth. Which will in the long term offer protection in the harshest of environments. We have combined our extensive formulating experience with our understanding of market requirements to produce the ultimate elastomeric polymer range, for application where it’s specific elongation characteristics and holdout to vapour and moisture, are an essential product requirement.